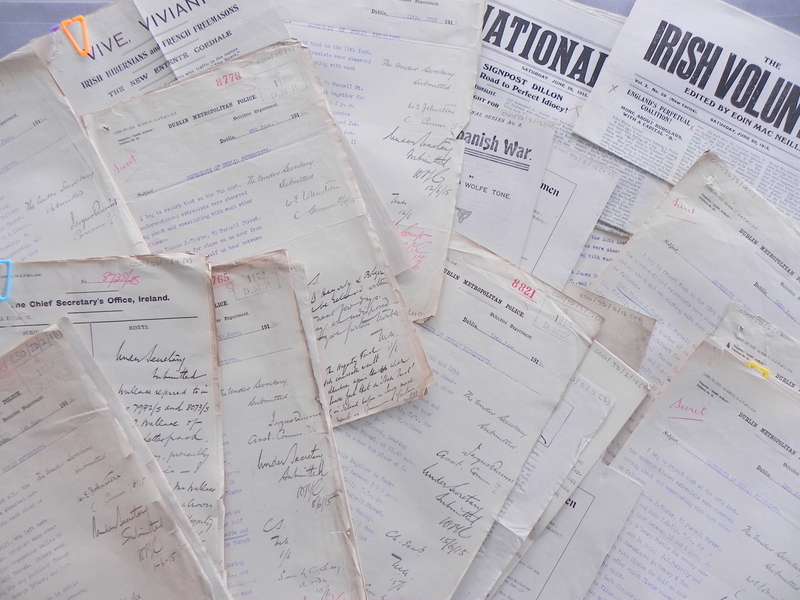 A selection of documents transferred to the National Archives in 2019 for release to the public under the 30 year rule. Each year, the National Archives receives transfers of new files and other archives from government departments, agencies and court offices under the terms of the National Archives Act, 1986. The act allows for the release for public inspection and permanent preservation of records of state that are at least 30 years old. This year, files mainly relating to 1988 have been released. This work is one of the main functions of the National Archives and requires a large amount of organisation and preparation. The files are made available to members of the public on the first working day of the New Year, when they are officially 30 years old. Archivists working on the new accessions have chosen a number of interesting documents for scanning. 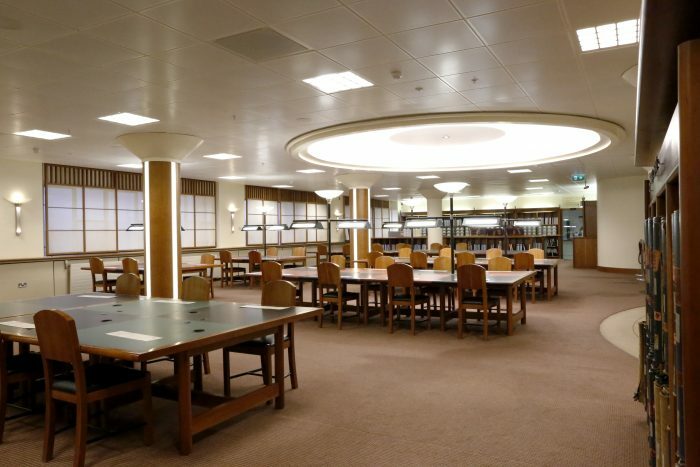 The files have not been scanned in their entirety, but are available to researchers in the reading room of the National Archives, which is open Monday to Friday from 9.15 until 17.00. Please see Visit us for more information. A sketch of the Great Seal, used on the presidential seal. Full size sketch of harp for use on Presidential seal, also known as The Great Seal. To view the extracted documents see NAI, 2018/60/197. Letter from Poet Thomas Kinsella to Taoiseach Charles Haughey on the unrealistic financial conditions required for poets to qualify for the Aosdána cnuas stipend. Letter from Poet Thomas Kinsella to Taoiseach Charles Haughey on the unrealistic financial conditions required for poets to qualify for the Aosdána cnuas stipend. To illustrate his point, Kinsella includes a copy of the Peppercanister Press brochure and a royalty account statement from Penguin Books received for The Pleasures of Gaelic Poetry. Letter of reply from George Shaw, Private Secretary to Taoiseach Charles Haughey. To view the extracted documents see NAI, 2018/184/34. Letter from President Erskine Childers to Taoiseach Liam Cosgrave, dated 22 May 1974 regarding the availability of public records for historical research. Letter from President Erskine Childers to Taoiseach Liam Cosgrave, dated 22 May 1974, and draft reply from Cosgrave, dated 27 May 1974, regarding the availability of public records for historical research. To view the extracted documents see NAI, 2018/184/31. Draft Memorandum for Government proposing the establishment of a Department of Arts and Culture. Draft Memorandum for Government, dated October 1981, proposing the establishment of a Department of Arts and Culture. To view the extracted documents see NAI, 2018/184/29. Report on the nomination of Con Keogh for a Bravery Award for the act of recapturing an escaped lion at Monaghan Railway Station. Comhairle na Míre Gaile [Council for the Recognition of Deeds of Bravery] report, dated 15 April 1948, on the nomination of Con Keogh for a Bravery Award for the act of recapturing an escaped lion at Monaghan Railway Station. To view the extracted documents see NAI, 2018/6/184. Statement by bookshop owner William Figgis on a disturbance involving author Patrick Kavanagh. Statement from Mr William Figgis, owner of Hodges and Figgis bookshop, Nassau Street, on disturbance involving author Patrick Kavanagh and his book The Green Fool. To view the extracted documents see NAI, 90/102/151. David Craig, acting director of the National Archives, on a proposal for a new National Archives building in Smithfield, Dublin 7. A letter from David Craig, acting director of the National Archives, to Padraig Ó hUiginn, Secretary, Department of the Taoiseach on a proposal for a new National Archives building in Smithfield, Dublin 7. To view the extracted documents see NAI, 2018/69/505. Draft message from Taoiseach Charles Haughey to the Passage West Sirius Commemoration Committee on the 150th anniversary of the first transatlantic voyage by a passenger steamer. A draft message from Taoiseach Charles Haughey to the Passage West Sirius Commemoration Committee on the 150thanniversary of the SS Sirius’s voyage from Passage West, County Cork, to New York, USA, which was the first passenger steamer crossing of the Atlantic ocean. To view the extracted documents see NAI, 2018/69/414. Memorandum for Government on the proposed Data Protection Bill. Memorandum for Government by the Minister for Justice Gerry Collins on the proposed Data Protection Bill. To view the extracted documents see NAI, 2018/69/228. A letter from British Prime Minister Margaret Thatcher to Taoiseach Charles Haughey on security co-operation. A letter from British Prime Minister Margaret Thatcher to Taoiseach Charles Haughey on security co-operation and IRA activities. To view the extracted documents see NAI, 2018/68/69. A meeting between Taoiseach Charles Haughey and British Prime Minister Margaret Thatcher held in Brussels, Belgium. A note on a meeting between Taoiseach Charles Haughey and British Prime Minister Margaret Thatcher, including discussions on Northern Ireland and Anglo-Irish security co-operation, held at the Charlemagne Building, Brussels, Belgium. To view the extracted documents see NAI, 2018/68/38.